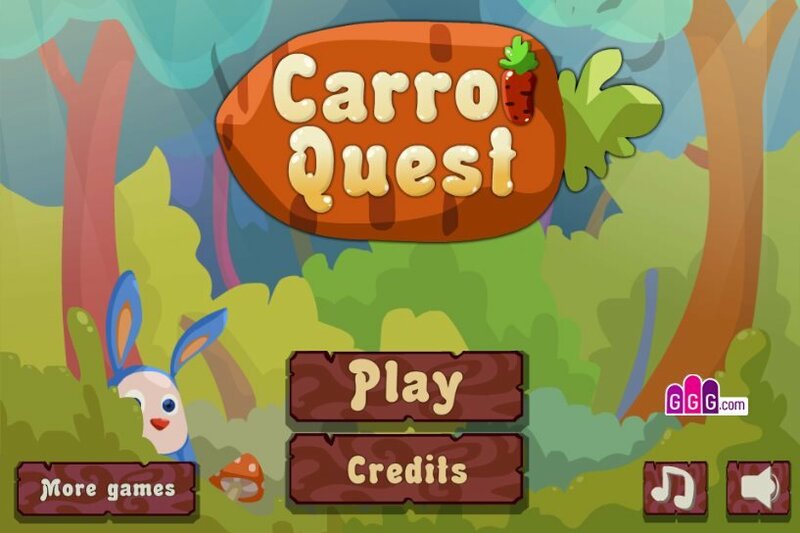 This rabbit loves carrots and would very much like that in his garden grew as she can in larger quantities. For this, he already dug the hole and is going to plant carrot seeds in your garden. He remained only to push the bags of seeds to the holes. But how to do it? Help this fluffy handsome complete the task. Because carrots have so many vitamins and she's so sweet! 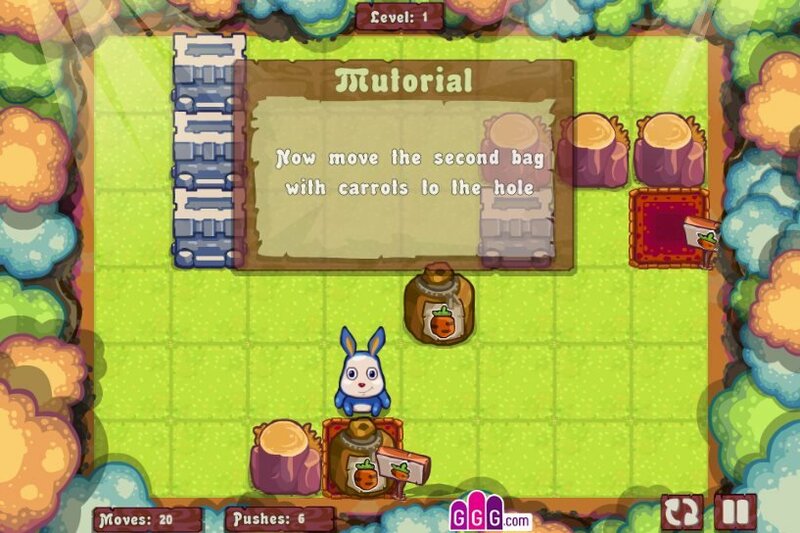 Complete each level as quickly as possible and for the minimum number of moves. The higher your score, the more stars you get and the Bunny will be pleased. How to control; and to plant carrots: show the mouse where it needs to go. If on his way with a bag of seeds, then rabbit will push. Played: 14697. Added: 2-10-2015, 01:18. Help this rabbit to put a carrot.